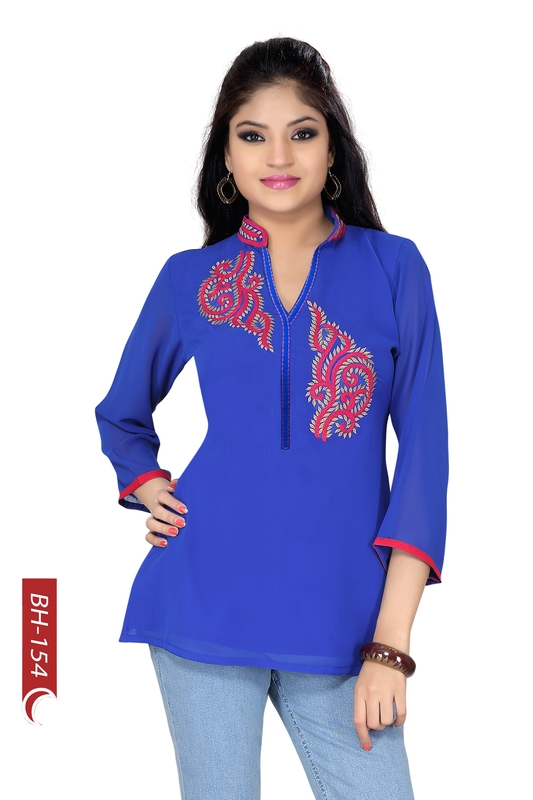 Play around with elements of casual comfort in this The Blue BellaShort Tunic Top with Machine-work embroidery, brought to you by Snehal Creations. 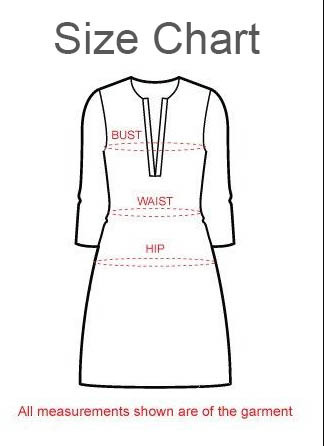 The short tunic top is done in brilliant quality fabric and tailored to have a Chinese neck collar in red colour. Two mesmerising embroidery motifs adorn the tunic on both sides of the neck panel. The contrast red taping on the sleeve edges looks chic. A pair of jeans is just what this one needs.